This presentation will briefly describe some of the new data on the ayahuasca ß-carbolines and will also examine a few lesser-known natural ß-carbolines of intrinsic interest, due to their occurrence in unusual sources, structural properties, or pharmacological properties, or all of the above. The ß-carboline alkaloids in ayahuasca, harmine, harmaline, and tetra-hydro-harmine (THH), are selective MAO-A inhibitors and, in the case of THH, selective MAOIs and 5HT reuptake inhibitors. They play a key role in the oral activation of DMT, the principal psychedelic constituent of ayahuasca. Recent research has also identified additional pharmacologic properties of the ayahuasca ß-carbolines such as anti-tumor, antiparasitic, antimicrobial, phototoxic, tremorgenic, and antidementia activities. The ß-carbolines are simple indole alkaloids that are relatively widespread in nature, occuring in higher plants, fungi, microorganisms, and marine organisms. The natural ß-carbolines display a wide range of structural diversity and biological activities. Recent investigations have shown that the pharmacodynamics of even the well-known ß-carbolines are incompletely understood. Lesser known ß-carbolines from diverse sources represent promising leads for drug discovery and potentially novel therapeutic applications. 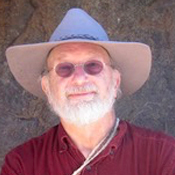 Dennis McKenna, Ph.D., has focused his research on the interdisciplinary study of Amazonian ethnopharmacology and plant hallucinogens. He has conducted extensive ethnobotanical fieldwork in the Peruvian, Colombian, and Brasilian Amazon. His doctoral research (University of British Columbia,1984) focused on the ethnopharmacology of ayahuasca and oo-koo-he, two tryptamine-based hallucinogens used by indigenous peoples in the Northwest Amazon. He is a founding board member of the Heffter Research Institute, and was a key organizer and participant in the Hoasca Project, the first biomedical investigation of ayahuasca used by the UDV, a Brazilian religious group. He is currently Assistant Professor in the Center for Spirituality and Healing at the University of Minnesota.